Marie Corelli’s origins are shrouded in mystery. Born in London on or around 1 May 1855, a date she rarely admitted to, she was almost certainly the daughter of Elizabeth Mills, lover and later second wife of the journalist Charles Mackay, who was believed to be Corelli’s father. Known affectionately as Minnie, she reinvented herself as Marie di Corelli in order to earn a paltry living giving piano recitals in private homes. Corelli’s first novel, A Romance of Two Worlds, was published in February 1886. It struck a chord and, as a result, a second novel, Vendetta, appeared later that year. By June 1887, Corelli had published a third, Thelma, to great acclaim. Ellen Terry, who lived six doors down from her on Longridge Road, Kensington, adored her books. Lillie Langtry asked if she might dramatise them. Oscar Wilde would have sympathised to hear that she had been snubbed by Rhoda Broughton, who she had been particularly keen to meet. 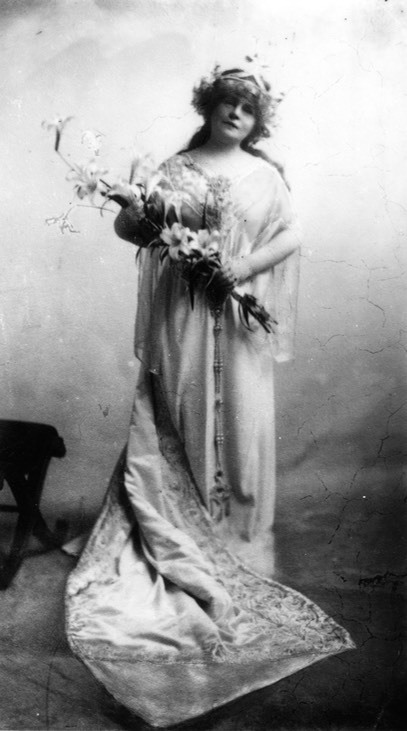 At the height of her popularity, Marie Corelli was the best selling and most highly paid author in England. According to novelist and poet Arthur St. John Adcock, ‘many of her most enthusiastic admirers are men of the professional classes – doctors, barristers, lawyers, writers, men of education and intelligence’. [i] Her mystical, melodramatic novels were admired by Gladstone and Tennyson, and Queen Victoria had them sent to Balmoral as soon as they appeared. …a woman of deplorable talent who imagined that she was a genius, & was accepted as a genius by a public to whose commonplace sentimentalities & prejudices she gave a glamorous setting. They had fallen out by then and she lampooned him mercilessly in The Silver Domino, or Side Whispers, Social and Literary, which was published anonymously in 1892, characterizing him as a lumbering elephant who was guided through life by a dainty fairy, a thinly disguised Constance Wilde. Corelli dismissed Constance as ‘a charming little Radical,’ but she found her compelling; she considered her ‘one of the prettiest things alive’ and ‘infinitely more interesting than the Elephant himself’. Marie Corelli never married. She never discussed her sexuality but would appear to have been attracted to women; she wrote ambiguous love poems and co-habited happily for decades with her companion Bertha Vyver, who referred to her as ‘beloved wee pet’. When she died, on 21 April 1924, crowds gathered outside her home. Marion Bessie Terry (13 October 1853 – 21 August 1930), born Mary Ann Bessy Terry but known affectionately as “Polly”, was the fifth surviving child of actors Benjamin Terry (1818-1896) and Sarah Ballard (1819-1892). While undoubtedly overshadowed by her older and more famous sister Ellen, Marion enjoyed considerable success throughout her career. Unlike Ellen, she rarely played any of Shakespeare’s women, and appeared in only a handful of his plays, although her first professional role was as Ophelia in Hamlet when she was nineteen. After enjoying a successful and varied career for two decades, Marion, aged thirty-nine, was offered the role that was to become her most celebrated, as Mrs. Erlynne in Oscar Wilde’s Lady Windermere’s Fan. Although she was third choice for the role behind Lillie Langtry and Ada Rehan, she acquitted herself admirably. Theatre critic Clement Scott declared that she played the part ‘to perfection’. the management had grave doubts about her during the rehearsals, but that she felt certain she could “get away with it”. His verdict was that she ‘scored a complete triumph in it’. Offstage, Marion Terry was reserved and protective of her private life. She never married and died of a cerebral haemorrhage at her home in London, aged seventy-three, after a career that spanned five decades. This is the script of a talk I gave to the Oscar Wilde Society on a visit to Smallhythe Place, once home to Ellen Terry, in September 2016. Do join the society. Such warm and wonderful people keeping the memory of Wilde alive! Although he would surely have been aware of an actress with a reputation as stellar as Ellen Terry’s, it’s believed that the first time Oscar Wilde saw her perform was when he went with David Hunter Blair, a friend from Oxford University, to see her in Tom Taylor’s comedy New Men and Old Acres at the Court Theatre, London in December 1878. Fellow Irish playwright, George Bernard Shaw, fell in love with Terry on the strength of her performance in that play. Six months later, on 27 June 1879, Wilde watched Terry play Queen Henrietta Maria in Charles I by W. G. Wills at the Lyceum Theatre. He was 24 years old and had just come down from Oxford University with a double first. She was 8 years older at 32, had been married to and separated from artist G. F. Watts, and had two children with Edward Godwin, from whom she had recently split. In 1878, she had left the Court Theatre to become leading lady with Henry Irving’s company at the Lyceum Theatre. ‘No actress has ever affected me as you have. I do not think you will ever have a more sincere an impassioned admirer than I am’. This ‘gorgeous dress of beaten gold’ is on display in Smallhythe Place. Terry’s performance as Camma, Tennyson’s Priestess of Artemis in The Cup in January 1881, prompted Wilde to compose a third sonnet, ‘Camma’, in which he expressed a desire to see her play Shakespeare’s Cleopatra. She never did. Wilde included all three of the sonnets he had written for Terry in his collection Poems, published by David Bogue in 1881 at Wilde’s own expense. Although it garnered a mixed critical response and many of the poems were considered derivative, it is worthy of perusal. So was it simply Wilde’s admiration for Terry’s beauty and talent that prompted these tributes? Since he was a very ambitious young man, it seems certain that they were intended to foster a close association with one of the most famous women in London. Certainly, he would have loved to have persuaded Terry interpret his work. ‘Perhaps someday I shall be fortunate enough to write something worthy of your playing’. Terry was flattered but turned Vera down. Wilde and Terry moved in the same bohemian circles and had become friends by then. She was a regular visitor to 13 Salisbury Street, the home he shared with artist Frank Miles. Early in 1880, Terry persuaded Wilde to share her box at the Criterion Theatre to watch an adaptation of James Albery’s Where’s The Cat, a satire on Aestheticism, in which Wilde was apparently parodied by Herbert Beerbohm Tree. Little wonder he declared the play to be ‘poor’. One incident that illustrates how close Wilde and Terry had become occurred when Terry was about to take to the stage in the Lyceum to play Camma in The Cup. Another member of the cast that night was Florence Balcombe, Wilde’s former girlfriend and now Mrs. Bram Stoker. Stoker husband was the business manager of the Lyceum and Irving’s right-hand man. The very beautiful Florence, who did not pursue an acting career, had a tiny part as a vestal virgin. Will you accept one of them, whichever you think will suit you best. The other – don’t think me treacherous, Nellie – but the other please give to Florrie from yourself. I should like to think that she was wearing something of mine the first night she comes on the stage, that anything of mine should touch her. Of course if you think – but you won’t think she will suspect? How could she? She thinks I never loved her, thinks I forget. My God how could I! The admiration between Wilde and Terry was mutual. He christened her ‘Our Lady of the Lyceum’ and called her ‘the kindest-hearted, sweetest, loveliest of women’. He also sent her a photograph inscribed ‘for dear wonderful Ellen’. ‘The most remarkable men I have known were, without a doubt, Whistler and Oscar Wilde…there was something about both of them more instantaneously individual and audacious than it is possible to describe’. When Terry embarked on her first tour of America with the Lyceum company in October 1883, she recalled seeing Wilde, accompanied by Lillie Langtry, standing on the quayside in Liverpool, waiting to see them off. She noticed that he held his hand to his mouth to hide his ‘ugly teeth’ but she remarked on his ‘beautiful eyes’. Wilde had toured America the previous year and Langtry had arrived for her first tour towards the end of his. Terry’s encouragement of Langtry’s ambitions to become an actress, a path she had embarked on at Wilde’s suggestion, and her open admiration for her potential rival’s beauty, endeared her further to Wilde. When Langtry played Rosalind in As You Like It in 1882, Terry sent her a letter of encouragement, followed by a telegram. I bundled through my part somehow last night, a disgraceful performance, and no waist-padding! Oh what an impudent wretch you must think me to attempt such a part! I pinched my arm once or twice last night to see if it were really me. It was so sweet of you to write me such a nice letter, and then a telegram, too! This was a particularly unselfish act since Terry never got to play this coveted part. When Wilde was courting Constance Lloyd in 1883, he took her to see Othello at the Lyceum, with Terry as Desdemona. Afterwards, Constance became a regular at the theatre and frequently dined with Terry and Irving after shows. Another connection was established when Edward Godwin, Terry’s former partner and the father of her children, decorated the Wilde’s home in Tite Street in 1884. And of all the parts which Miss Terry has acted in her brilliant career, there is none in which her infinite powers of pathos and her imaginative and creative facility are more shown than in her Ophelia. Miss Terry is one of those rare artists who needs for her dramatic effect no elaborate dialogue, and for whom the simplest words are sufficient. To whatever character Miss Terry plays she brings the infinite charm of her beauty and the marvellous grace of her movements and gestures. It is impossible to escape from the sweet tyranny of her personality. She dominates the audience by the secret of Cleopatra. There was, I think, no one in the theatre who did not recognise that in Miss Terry our stage possesses a really great artist, who can thrill an audience without harrowing it, and by means that seem simple and easy can produce the finest dramatic effects. They are quite beautiful, dear Oscar, and I thank you for them from the best bit of my heart…I should like to read one of them someday to NICE people – or even NOT nice people, and MAKE ‘em nice. Unfortunately, his plans for her to undertake a series of public readings never came to fruition. 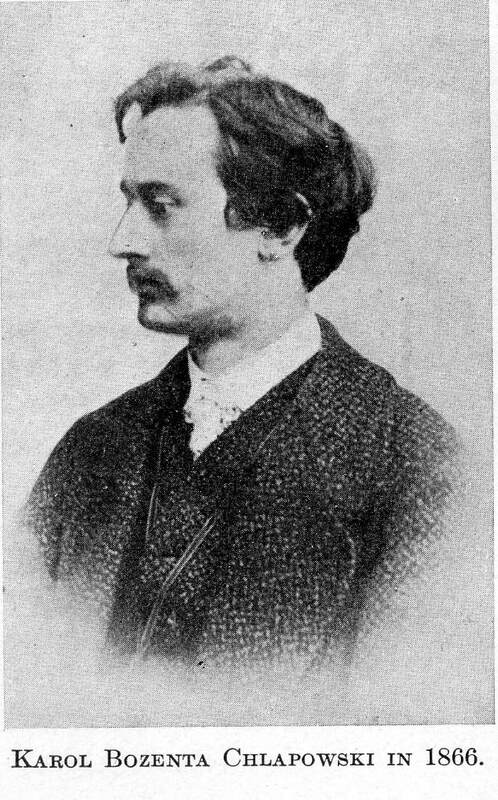 He included an image of the finished painting as the frontispiece to the July 1889 issue of The Woman’s World, which he edited at the time. In 1892, Ellen’s sister Marion Terry played Mrs. Erlynne in the very first production of Lady Windermere’s Fan. Although the part was intended for Lillie Langtry, it was to be her most significant role. The truest test of Terry’s friendship for Wilde came in the wake of his arrest for gross indecency in 1895. While many of his friends abandoned him, one closely-veiled woman called to his mother’s house, where he was staying, bringing a bouquet of violets, the symbol of faithfulness, and a horseshoe for luck. She was identified by Henry Irving’s son Lawrence as Ellen Terry. She also wrote to Constance at that time offering her help and support. In 1900, when Wilde was living in Paris, Terry visited the city with Amy Lowther. They spotted their friend, much diminished, gazing longingly through the window of a patisserie and biting his fingers with hunger. When they invited him to eat with them, they were much relieved when he ‘sparkled just as of old’. Neither ever saw him again. When she spoke at a dinner held in her honour by the Gallery First-Nighters’ Club in 1905, she included ‘the late Oscar Wilde’ in a list of people seen regularly ‘in the gallery and pit at the dear old Lyceum’.This was a brave statement at the time. Yet, when writer and poet Richard Le Gallienne asked her to write a foreword to a memorial edition of The Complete Works of Oscar Wilde, it seems she never responded. One final echo of Wilde and his relationship with Terry appeared twelve years after his death in ‘The Mask’ magazine in July 1912. A story called ‘The Actress’, which Wilde told to Aimee Lowther when she was a child but never wrote down, was published by the magazine’s editor, Edward Craig, Terry’s son. This lovely story of an actress who leaves the stage to devote herself to a lover but is forced to choose between them when love is waning is thought to have been inspired by Terry. Naturally, she chooses the stage. 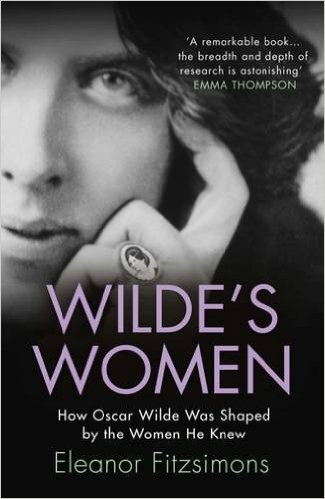 For more on Oscar, Ellen & all the other women in his life (with full references) read Wilde’s Women. Born to Józefa Benda, the widow of a wealthy merchant in Kraków in 1840, Modjeska was a veteran of the stage by the time she arrived in London. At twenty, she had joined a company of strolling players managed by Gustav Modrzejewski, who she married and had two children by before discovering that he already had a wife who was very much alive. Modjeska left Modrzejewski after their daughter, Marylka, died in infancy in 1865. She took their son Rudolf, later renamed Ralph Modjeska, to Krakow with her. There, she accepted a four-year theatrical engagement before moving to Warsaw in 1868, where she forged a reputation as a talented theatrical actress. Her two brothers, Józef and Feliks Benda, were also well regarded actors. On 12 September 1868, Modjeska married Polish nobleman Karol Bozenta Chlapowski, who was editor of the liberal nationalist newspaper Kraj. Their home became the focus of Krakow’s dissident, artistic and literary milieu. The couple’s political activities attracted the attention of authorities and in 1876 they felt obliged to flee to California, where Chlapowski established an experimental and idealistic colony of Polish expatriates on a remote ranch in California. A good account of daily life on the ranch is included in Theodore Payne’s memoir, Life on the Modjeska Ranch in the Gay Nineties. When this experiment failed spectacularly, leaving them penniless, Modjeska was obliged to resume her career. Although she had been principal actress at the Polish National Theatre, she needed to learn English to secure major roles. She accomplished this in a matter of months by practising the language between performances for six or seven hours every day. ‘There were three inevitables – death, quarter-day and Lady Jeune’s parties.’ (Quarter-days were the four days each year on which servants were hired, school terms started, and rents were due). Keen to befriend this newfound star, Wilde invited Modjeska to tea. Her instinct was to refuse, since she thought it unwise to visit a young man unaccompanied, but she relented when he assured her that Lillie Langtry and artist Louise Jopling would be there too. Helena Modjeska died at Newport Beach, California on April 8, 1909. She was 68 and had been suffering from Bright’s disease, a disease of the kidneys. Her remains were returned to Kraków where they were buried in the family plot at the Rakowicki Cemetery. Her autobiography, Memories and Impressions of Helena Modjeska, was published posthumously in 1910. English actress Ellen Terry is immortalised in an iconic painting by Anglo-American painter John Singer Sargent (1856-1925), who was considered the leading portrait painter of his day. In this portrait, which I was privileged to be allowed to include in my book Wilde’s Women,Terry is wearing her costume for Lady Macbeth, a remarkable emerald gown that shimmered with the iridescent wings of the one thousand jewel beetles that had been sewn into it. Later, Wilde chose Singer Sargent’s iconic painting for the frontispiece of the July 1889 issue of The Woman’s World, the magazine he edited from 1887-1889. …rich creamy satin dress…of a delicate cowslip tint; the bodice, cut square and somewhat low in front, was finished with a high Medici collar; the ample sleeves were puffed; the skirt, made plain, was gathered by a silver girdle of beautiful workmanship, the gift of Mr. Oscar Wilde; the veil of saffron-coloured Indian silk gauze was embroidered with pearls and worn in Marie Stuart fashion; a thick wreath of myrtle leaves crowned her frizzed hair; the dress was ornamented with clusters of myrtle leaves; the large bouquet had as much green in it as white [ii]. Since then it has gone nearly over the whole of Europe and is now resting for life in the Tate Gallery. Sargent suggested by this picture all that I should have liked to be able to convey in my acting as Lady Macbeth. She looks both wonderful and terrible it it. The dress, which is exhibited at Smallhyde Place, Terry’s former home, was painstakingly restored in 2011. I am very much looking forward to visiting Terry’s former home with the Oscar Wilde Society. I delivered a talk on the close connections between Terry and Wilde in the barn theatre in September 2016 and you can read the transcript here.